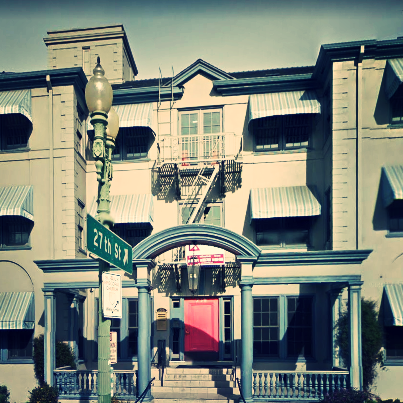 Tuesday, Thursday or Sunday, you will come to: 230 Grand Ave, Suite 301C, Oakland, CA 94610. When you arrive at the building, push the front door open, even though the handle feels locked. Come up to the 3rd floor (or use elevator on ground floor - not very easy to use). Find Suite 301C. A code to the clinic door will be sent in your confirmation email. Monday, Wednesday or Friday, you will come to: 6631 Dana Street, Oakland, CA 94609. When you arrive, come through the brown fence to the left of the house (it's sticky, but unlocked). The clinic is the second door on your right. Come on in, remove your shoes, and wait in the front room if I'm not there. Both locations have free 2-hour street parking and are about a 15-20 minute walk from BART.